When it comes to maintaining the high gloss wet look for large floor areas, the Tornado ProGlazer s are the tool of choice. 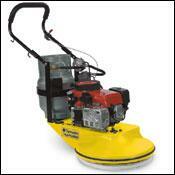 Speed, efficiency and cost control are all benefits of these Tornado s. In addition to a rugged cast aluminum deck (no plastic here), all ProGlazer units come complete with burnishing pad, ready-to-fill steel propane tank, and 110 volt electric start. 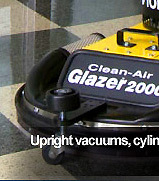 The ProGlazer s are available in 21" (11 hp), 24" and 28" (13 hp) models and all units run at 2000 RPM. Both engines are E.P.A. and C.A.R.B. certified.